We specialize in the elimination of Ants in Gilbert, Chandler, Arizona area. Ants are common intruders that invade backyards and homes. Immediate action is recommended. Ants, like many insects we are familiar with, have roamed the Earth for millennia. They evolved from a wasp-like ancestor in the Cretaceous period which makes them distant relatives of wasps and bees. There are over 20,000 known ant species presently existing in the world, 700 of which are found in just the U.S. alone. 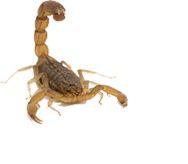 Only 25 species, however, are commonly known to infest homes in the U.S. which still seems like plenty, especially if you are on the receiving end of the infestation. Ants are highly social insects and rely on a strict social structure and division of labor for their survival. They form colonies that can range from a few dozens of individuals to several million. Ants have developed the excellent ability for communication between individuals and are capable of solving complex problems, which has long been a subject of fascination and study by humans. In many cultures ants are used in cuisine, medicine and even as biological pest control agents. Ants are generally omnivores and a few species have built their existence around human habitat where food is easy to come by. Ants can not only be a nuisance but can cause harm by raiding stored food, transmitting harmful bacteria, damaging indoor structures, and even agricultural crops. 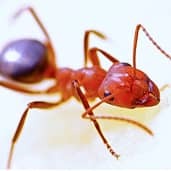 Some of the pest ant species the Argentine ant, pavement ant, yellow crazy ant, banded sugar ant, Pharaoh ant, carpenter ants, odorous house ant, red imported fire ant, and European fire ant. In Arizona, we most commonly meet with little black ants and rover ants. As the ant colonies are highly adaptive by nature, they can be virtually impossible to eliminate. At Simply Green Pest Control, we employ experts who have knowledge and understanding of ant behavior, habits and are skilled in a number of methods of ant extermination which include a combination of chemical, biological and physical approaches. Ants come into the homes to find food. So, keeping food inaccessible and your home clean of crumbs and food particles is the first and most essential step to preventing an ant infestation. Clearing debris in your yard and sealing cracks and crevices will also help keep ants and other pests out of the house. It may be a good idea to have a pest control professional evaluate your ant prevention efforts and suggest improvements if any. We have been pleasantly please with the superior customer service and knowledgable technicians Logan was out most recently and he was very thoural in treating the home and explaining many pest questions I had about spiders ants and scorpions overall I'm pleased with my service and recomend if you have a pest issue give them a call! Very happy with this service. Each technician has been helpful and thorough. Josh was put today and treated inside/ outside and made sure all my questions and concerns were handled. I recommend them for any pest needs.